Every fashionita must be dressed to the nines for all occasions. 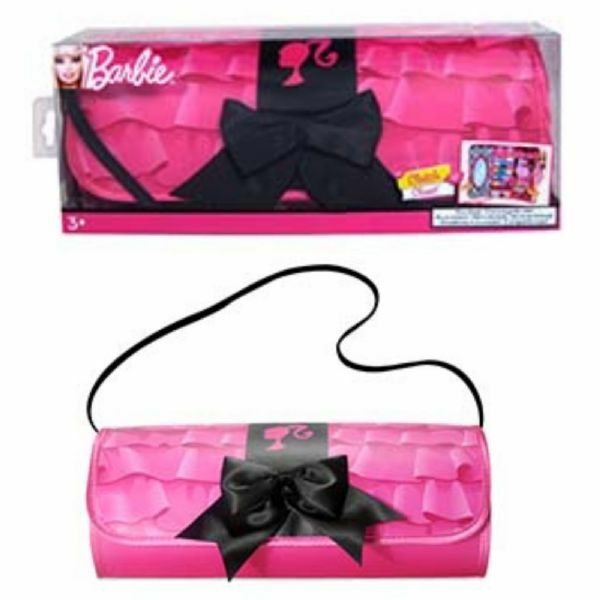 This beautiful Barbie Clutch Bag is the perfect finishing touch for any Barbie fan outfit. 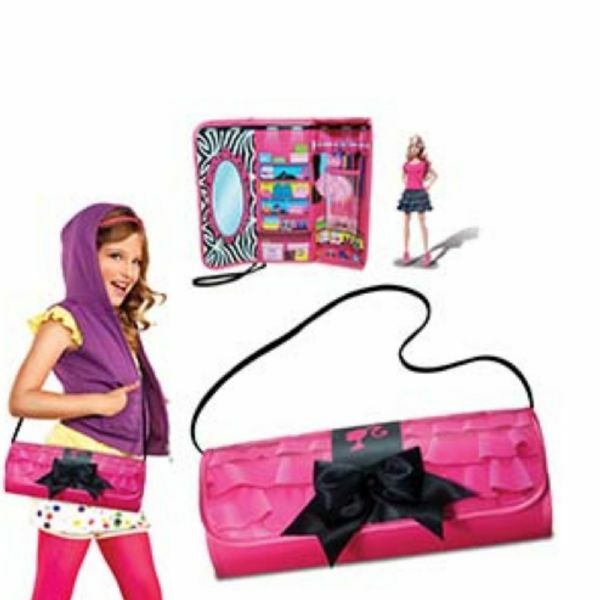 Every fashionita must be dressed to the nines for all occasions. 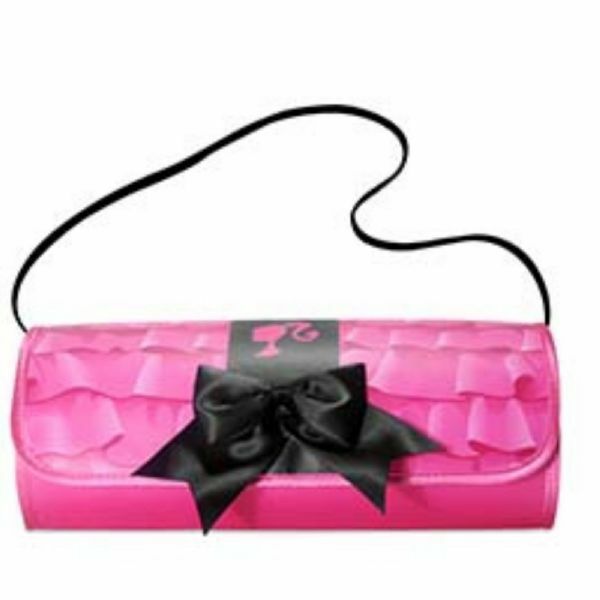 This beautiful Barbie Clutch Bag is the perfect finishing touch for any Barbie fan outfit. 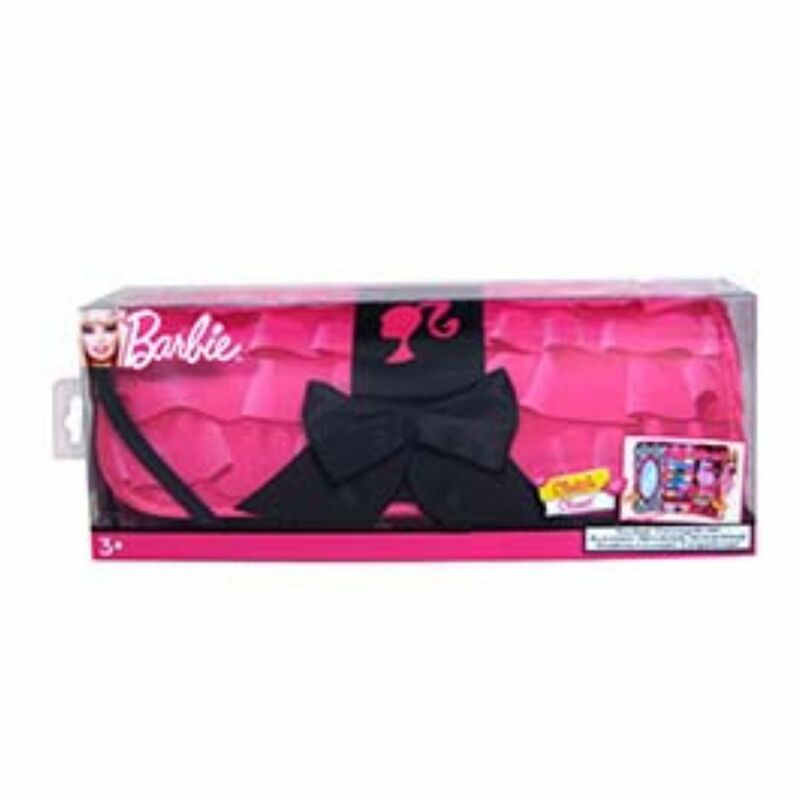 With Barbie pink woven designs on the front and a dreamy dressing room design on the inside any girl can make a fashion statement. Holds 2 Barbie dolls or 1 Barbie doll and accessories (Dolls Not Included). Inside pocket for keeping Barbie doll shoes and small accessories. Is lightweight with a handle for easy portability. Made from high quality, durable materials. Size (Approx) 12" x 2" x 4.75"